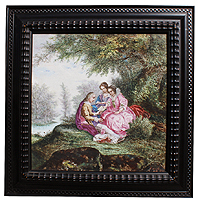 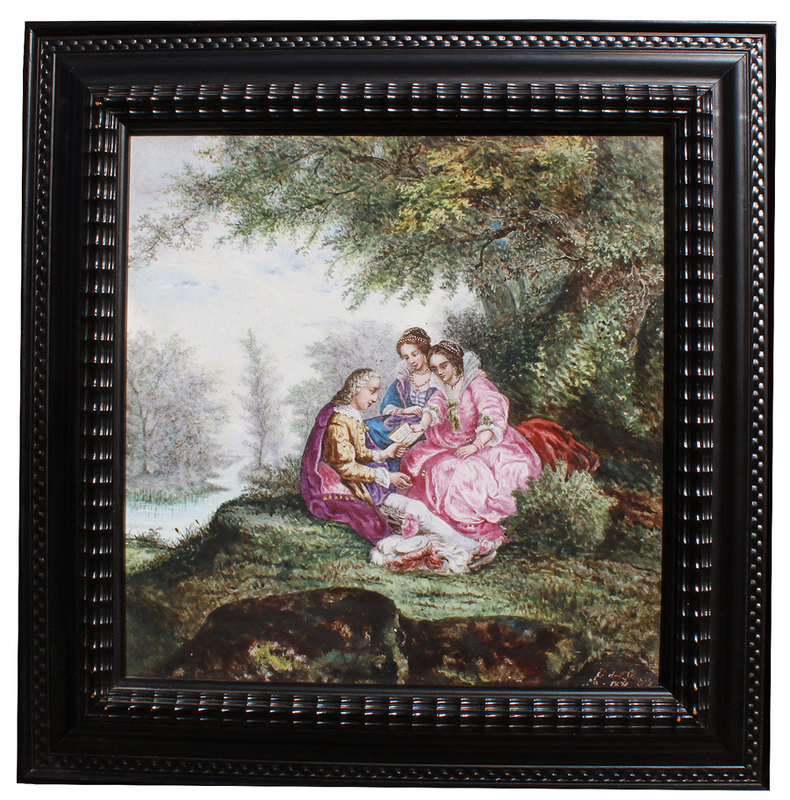 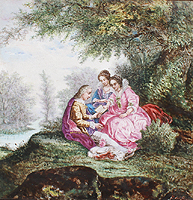 A Fine Continental 19th Century Enameled Decorated Porcelain Plaque depicting a garden courting scene of a gentleman reading to poems to two young ladies, within an ebonized wood frame. 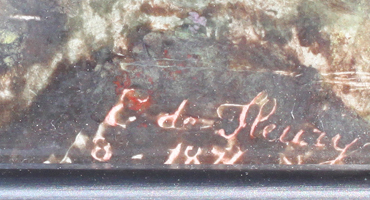 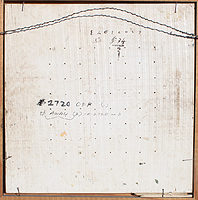 Signed E. de Fleury, 1874 (l/r). 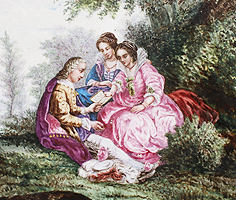 Probably French circa 1874.